In the 1990s, an experiment conducted in Los Alamos, about 35 miles northwest of the capital of New Mexico, appeared to find something odd. Scientists designed the Liquid Scintillator Neutrino Detector experiment at the US Department of Energy’s Los Alamos National Laboratory to count neutrinos, ghostly particles that come in three types and rarely interact with other matter. LSND was looking for evidence of neutrino oscillation, or neutrinos changing from one type to another. Several previous experiments had seen indications of such oscillations, which show that neutrinos have small masses not incorporated into the Standard Model, the ruling theory of particle physics. LSND scientists wanted to double-check these earlier measurements. By studying a nearly pure source of one type of neutrinos—muon neutrinos—LSND did find evidence of oscillation to a different type of neutrinos, electron neutrinos. 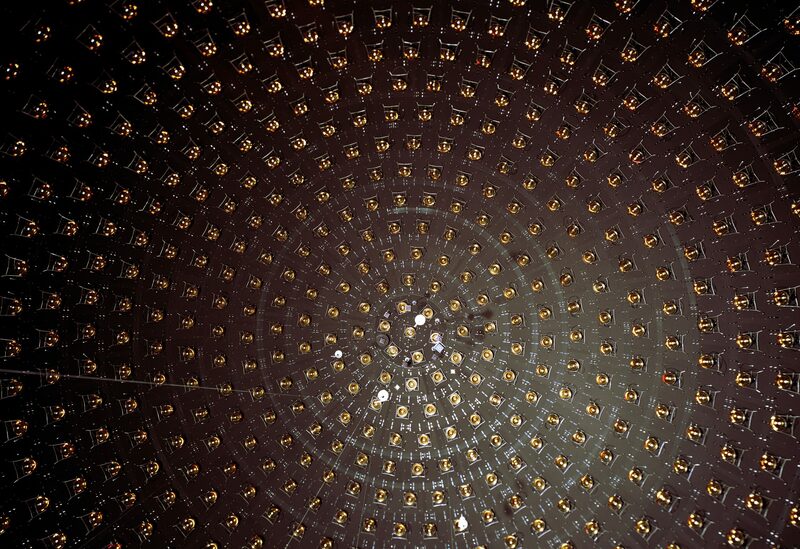 However, they found many more electron neutrinos in their detector than predicted, creating a new puzzle. This excess could have been a sign that neutrinos oscillate between not three but four different types, suggesting the existence of a possible new type of neutrino, called a sterile neutrino, which theorists had suggested as a possible way to incorporate tiny neutrino masses into the Standard Model. Or there could be another explanation. The question is: What? And how can scientists guard against being fooled in physics? Many physicists are looking for results that go beyond the Standard Model. They come up with experiments to test its predictions; if what they find doesn’t match up, they have potentially discovered something new. “Do we see what we expected from the calculations if all we have there is the Standard Model?” says Paris Sphicas, a researcher at CERN. A long list of possible factors can trick scientists into thinking they’ve made a discovery. A big part of scientific research is identifying them and finding ways to test what’s really going on. In the case of the LSND anomaly, scientists wonder whether unaccounted-for background events tipped the scales or if some sort of mechanical problem caused an error in the measurement. Scientists have designed follow-up experiments to see if they can reproduce the result. An experiment called MiniBooNE, hosted by Fermi National Accelerator Laboratory, recently reported seeing signs of a similar excess. Other experiments, such as the MINOS experiment, also at Fermilab, have not seen it, complicating the search. Much of the work in understanding a signal involves preparatory work before one is even seen. Physicists can predict backgrounds through simulations of experiments. Some types of detector backgrounds can be identified through “null tests,” such as pointing a telescope at a blank wall. Other backgrounds can be identified through tests with the data itself, such as so-called “jack-knife tests,” which involve splitting data into subsets—say, data from Monday and data from Tuesday—which by design must produce the same results. Any inconsistencies would warn scientists about a signal that appears in just one subset. Researchers looking at a specific signal work to develop a deep understanding of what other physics processes could produce the same signature in their detector. MiniBooNE, for example, studies a beam primarily made of muon neutrinos to measure how often those neutrinos oscillate to other flavors. But it will occasionally pick up stray electron neutrinos, which look like muon neutrinos that have transformed. Beyond that, other physics processes can mimic the signal of an electron neutrino event. Even more variable than a particle beam: human beings. While science strives to be an objective measurement of facts, the process itself is conducted by a collection of people whose actions can be colored by biases, personal stories and emotion. A preconceived notion that an experiment will (or won’t) produce a certain result, for example, could influence a researcher’s work in subtle ways. Staying cognizant of this fact and incorporating methods for removing bias are especially important if a particular claim upends long-standing knowledge—such as, for example, our understanding of neutrinos. In these cases, scientists know to adhere to the adage: Extraordinary claims require extraordinary evidence. Physicists have been burned by dragons before. In 1969, for example, a scientist named Joe Weber announced that he had detected gravitational waves: ripples in the fabric of space-time first predicted by Albert Einstein in 1916. Such a detection, which many had thought was impossible to make, would have proved a key tenet of relativity. Weber rocketed to momentary fame, until other physicists found they could not replicate his results. The false discovery rocked the gravitational wave community, which, over the decades, became increasingly cautious about making such announcements. So in 2009, as the Laser Interferometer Gravitational Wave Observatory, or LIGO, came online for its next science run, the scientific collaboration came up with a way to make sure collaboration members stayed skeptical of their results. They developed a method of adding a false or simulated signal into the detector data stream without alerting the majority of the 800 or so researchers on the team. They called it a blind injection. The rest of the members knew an injection was possible, but not guaranteed. In late 2010, the team got the alert they had been waiting for: The computers detected a signal. For six months, hundreds of scientists analyzed the results, eventually concluding that the signal looked like gravitational waves. They wrote a paper detailing the evidence, and more than 400 team members voted on its approval. Then a senior member told them it had all been faked. Picking out and spending so much time examining such an artificial signal may seem like a waste of time, but the test worked just as intended. The exercise forced the scientists to work through all of the ways they would need to scrutinize a real result before one ever came through. It forced the collaboration to develop new tests and approaches to demonstrating the consistency of a possible signal in advance of a real event. All of the hard work paid off: In September 2015, when an authentic signal hit the LIGO detectors, scientists knew what to do. In 2016, the collaboration announced the first confirmed direct detection of gravitational waves. One year later, the discovery won the Nobel Prize. While blind injections worked for the gravitational waves community, each area of physics presents its own unique challenges. Neutrino physicists have an extremely small sample size with which to work, because their particles interact so rarely. That’s why experiments such as the NOvA experiment and the upcoming Deep Underground Neutrino experiment use such enormous detectors. Astronomers have even fewer samples: They have just one universe to study, and no way to conduct controlled experiments. That’s why they conduct decades-long surveys, to collect as much data as possible. Researchers working at the Large Hadron Collider have no shortage of interactions to study—an estimated 600 million events are detected every second. But due to the enormous size, cost and complexity of the technology, scientists have built only one LHC. That’s why inside the collider sit multiple different detectors, which can check one another’s work by measuring the same things in a variety of ways with detectors of different designs. While there are many central tenets to checking a result—knowing your experiment and background well, running simulations and checking that they agree with your data, testing alternative explanations of a suspected result—there’s no comprehensive checklist that every physicist performs. Strategies vary from experiment to experiment, among fields and over time. Scientists must do everything they can to test a result, because in the end, it will need to stand up to the scrutiny of their peers. Fellow physicists will question the new result, subject it to their own analyses, try out alternative interpretations, and, ultimately, try to repeat the measurement in a different way. Especially if they’re dealing with dragons. From Fermilab , an enduring source of strength for the US contribution to scientific research world wide. A New Mexico State University professor is part of an international research team that recently released the results of an experiment that may support a theory for a fourth fundamental particle – the mysterious sterile neutrino that passes through matter without interacting with it…. MiniBooNE’s oil tank is 12 meters in diameter and lined with 1,520 photodetectors. Ryan Patterson / Princeton / Fermilab. The preprint article has been submitted to a peer-reviewed journal and is available at: https://arxiv.org/abs/1805.12028 Observation of a Significant Excess of Electron-Like Events in the MiniBooNE Short-Baseline Neutrino Experiment. Physicists working on the Mini Booster Neutrino Experiment (MiniBooNE) at Fermilab in the US have released new results that they argue provide strong evidence for the existence of a new type of particle known as a sterile neutrino. The researchers say that their data are fully consistent with a previous hint of sterile neutrinos that emerged more than 20 years ago from the Liquid Scintillator Neutrino Detector (LSND) at the Los Alamos National Laboratory in New Mexico, although other groups have failed to reproduce the findings. Sterile neutrinos, if they exist, would be even more elusive than standard neutrinos, which themselves are chargeless and nearly massless. The Standard Model of particle physics tells us that neutrinos come in three flavours – electron, muon and tau – and that they “oscillate” from one flavour to another as they travel through space. But some extensions of the Standard Model predict that these known neutrinos can also oscillate into and out of sterile neutrinos, which might not interact at all with any other ordinary matter. MiniBooNE monitors the tiny flashes of light that are produced occasionally when electron neutrinos interact with atomic nuclei in about 800 tonnes of pure mineral oil contained in a spherical tank located underground on the Fermilab site near Chicago. Those neutrinos are generated after protons from the lab’s Booster accelerator are fired into a beryllium target to create muon neutrinos, which then oscillate to electron neutrinos as they travel several hundred metres through the Earth to the detector. In a preprint uploaded recently to the arXiv server, the MiniBooNE collaboration reports having detected far more electron neutrinos than would be expected from purely Standard Model oscillations after collecting data for 15 years. According to collaboration member William Louis of Los Alamos, the measurement suggests that some of the muon neutrinos oscillate into sterile neutrinos that in turn transform into electron neutrinos. That interpretation, he says, is bolstered by the fact that the variation of electron-neutrino excess with neutrino energy – a parameter of neutrino oscillations – seen in MiniBooNE matches that recorded at Liquid Scintillator Neutrino Detector. He and his colleagues conclude that the combined excess from the two experiments has a statistical significance of 6.1σ, which is well above the 5σ that is normally considered a discovery in particle physics. Although MiniBooNE is quite similar to LSND – in using mineral oil to observe neutrinos from an accelerator-based source – and indeed has inherited personnel from the earlier project, its researchers are nevertheless confident that there are no common sources of error. “We think that is very unlikely,” says Louis. “The two experiments have very different energies and backgrounds, and therefore very different possible systematic errors”. However, the existence of sterile neutrinos is not yet a done deal. While some groups operating experiments that exploit neutrinos from nuclear reactors or radioactive sources have also gathered (somewhat weaker) evidence for the hypothetical particles, other groups have looked and found nothing. These include the IceCube collaboration, which operates a detector at the South Pole, and the now completed Main Injector Neutrino Oscillation Search (MINOS) at Fermilab. Indeed, some physicists outside the MiniBooNE collaboration have told Physics World that they remain unconvinced by the latest results. To try and settle the issue, numerous other dedicated experiments are either operating or under development. For their part, Louis and colleagues are currently setting up another three detectors at Fermilab – one of which is now running – to monitor the neutrino flux closer to the beryllium target than MiniBooNE and also further away. The idea, he says, is to show beyond doubt that the electron neutrino excess really is due to oscillations, given that the measured oscillation rate should vary with distance from the source as well as with energy. Results are expected “over the next three to five years,” he says. MiniBooNE scientists demonstrate a new way to probe the nucleus with muon neutrinos. Tiny particles known as neutrinos are an excellent tool to study the inner workings of atomic nuclei. Unlike electrons or protons, neutrinos have no electric charge, and they interact with an atom’s core only via the weak nuclear force. This makes them a unique tool for probing the building blocks of matter. But the challenge is that neutrinos are hard to produce and detect, and it is very difficult to determine the energy that a neutrino has when it hits an atom. This week a group of scientists working on the MiniBooNE experiment at the Department of Energy’s Fermilab reported a breakthrough: They were able to identify exactly-known-energy muon neutrinos hitting the atoms at the heart of their particle detector. The result eliminates a major source of uncertainty when testing theoretical models of neutrino interactions and neutrino oscillations. Like other muon neutrino experiments, MiniBooNE uses a beam that comprises muon neutrinos with a range of energies. Since neutrinos have no electric charge, scientists have no “filter” that allows them to select neutrinos with a specific energy. The MiniBooNE result was published in the April 6, 2018, issue of Physical Review Letters. This research was supported by the U.S. Department of Energy Office of Science. 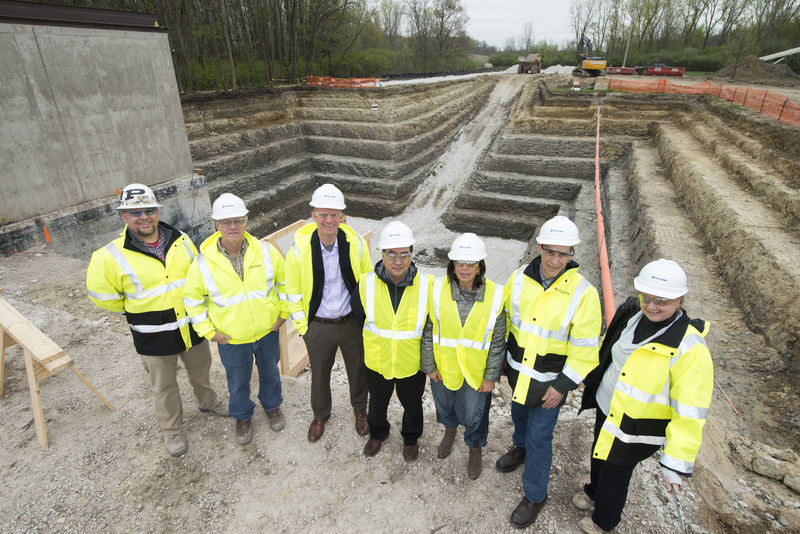 On April 27, Fermilab broke ground on the building that will house the future Short-Baseline Near Detector. The particle detector, SBND, is one of three that, together, scientists will use to search for the sterile neutrino, a hypothesized particle whose existence, if confirmed, could not only help us better understand the types of neutrino we already know about, but also provide clues about how the universe formed. Members of the Fermilab Neutrino and Particle Physics divisions, working together with international collaborators, are currently refining the design of the detector itself. It will take about eight months to complete the SBND building. The three detectors make up the laboratory’s Short-Baseline Neutrino Program, which will use a powerful neutrino beam generated by the Fermilab accelerator complex. The beam will pass first through SBND and then through the MicroBooNE detector, which is already installed and taking data, having observed its first neutrino interactions in October. Finally, the beam will travel through ICARUS, the largest of the three detectors. ICARUS, which was used in a previous experiment at the Italian Gran Sasso laboratory, is currently at the CERN laboratory in Switzerland receiving upgrades before its big move to Fermilab in 2017. The beam coming out of the accelerator comprises primarily muon neutrinos; the detectors will measure their transformation into electron neutrinos. All three detectors have specific functions in detecting the transformation. As the detector closest to the beam source, SBND will take an initial measurement of the beam’s composition – how much the beam contains each of the different neutrino types. If there are more electron neutrinos than predicted, then muon neutrinos may have oscillated first into sterile neutrinos and then to electron neutrinos. If the data show a smaller number of muon neutrinos than predicted, the muon neutrinos may have transformed only into sterile neutrinos, which cannot be seen in the far detectors. Scientists first picked up on experimental hints of a sterile neutrino at Los Alamos National Laboratory’s LSND experiment in 1995. 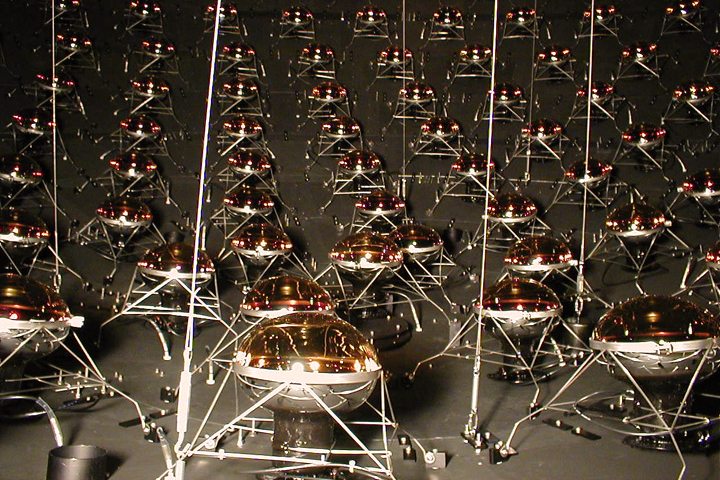 When the Fermilab experiment MiniBooNE followed up, scientists could not confirm the sterile neutrino’s existence, but neither could they rule it out. Part of the sensitivity of SBND lies in its liquid-argon time projection chamber, the active part of the detector, which will contain 112 tons of liquid argon. Neutrinos will interact with the nuclei of the argon atoms, and scientists on SBND will study the resulting particles to better understand the neutrinos that caused the interaction. Their findings will likely have application in future accelerator-based neutrino programs, such as the international Deep Underground Neutrino Experiment hosted by Fermilab. The Short-Baseline Neutrino Program will begin taking data in 2018. On Aug. 6, MicroBooNE , a liquid-argon time projection chamber, or LArTPC, recorded images of the tracks of cosmic muons, particles that shower down on Earth when cosmic rays collide with nuclei in our atmosphere. Fermilab’s flagship effort is its neutrino program, which is ramping up to be the strongest in the world. This means creating the world’s best neutrino detectors. To that end, scientists at Fermilab are pursuing one hot technology that is lighting up neutrino physics, detection based on cryogenic liquid argon. 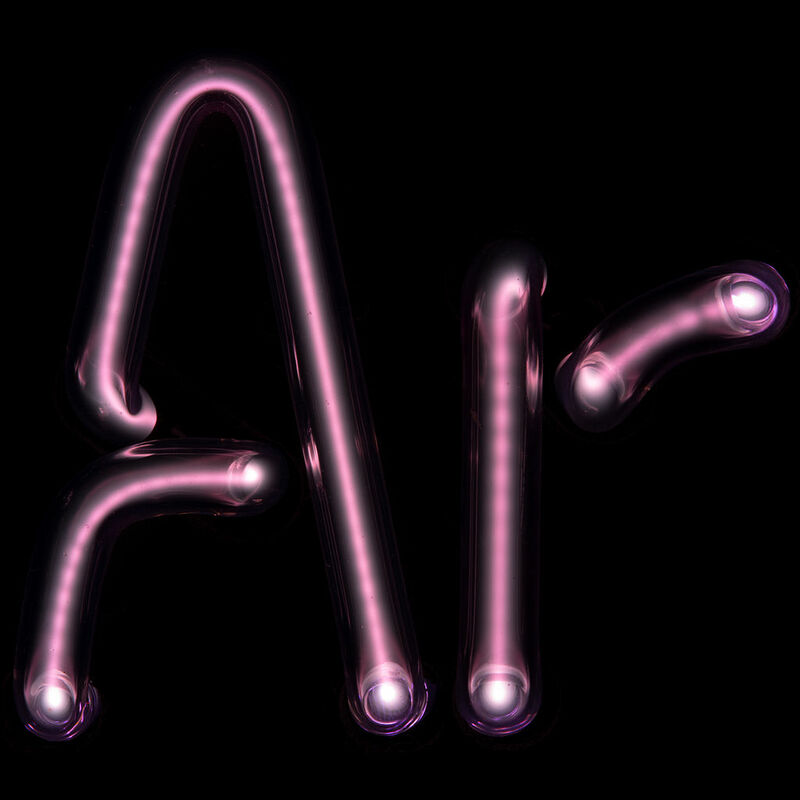 At first, argon seems to be a pretty boring element. As a noble gas, it does not react chemically. Making up one percent of our atmosphere, it is its third most common component, surpassed only by nitrogen and oxygen. But don’t let its mundane properties fool you. When we cool it down to extremely cold temperatures, it turns into a liquid with incredible properties for cutting-edge neutrino detectors. For particle physics, perhaps liquid argon’s most important feature is that it acts as both a target and detector for neutrinos, although it isn’t the only material that can be used this way. The Super-Kamiokande experiment in Japan used water stored in a deep-underground tank as large as Wilson Hall to detect neutrinos. Here at Fermilab, the MiniBooNE experiment used a giant sphere of oil that operated much the same way as Super-Kamiokande’s tank. But with 40 protons and neutrons, liquid argon is denser than water or oil, so liquid-argon detectors see more neutrino collisions per unit volume than their oil- or water-based predecessors. That means faster measurements and consequently faster discoveries. Another advantage of liquid argon is that, when a neutrino interacts with it and subsequently generates charged particles, it produces two separate kinds of signals; oil- or water-based detectors produce only one. One type of signal, unique to liquid argon, results from its ability to record the charged particles’ trajectories. Charged particles are created in the liquid argon after a neutrino flies in and collides with an argon nucleus. The charged debris travels through the argon and easily knocks off electrons from the neighboring atoms along its path. The electronic traces in the liquid argon are pushed by an applied electric field toward an array of wires (similar to a guitar’s) on the side of the detector. The wires collect data on the particle trajectories, producing a signal. The second signal type is one shared with oil- and water-based detection: a flash of light. When a charged particle bumps into an argon atom’s electron, the electron transitions to a higher energy. As the electron transitions back to its original state, the excess energy is emitted as light. It turns out that argon is also relatively cheap. Companies liquefy air and heat it slowly. Since each of air’s components has a unique boiling temperature, they can be separated. The boiled-off argon is moved to a separate chamber where it is again condensed. The commercially available liquid argon that we buy is still not pure enough for our experiments, so once the liquid argon arrives at the lab, we filter out the remaining impurities by a factor of 10,000. Using a common and innocuous gas, Fermilab is establishing itself to be the world’s premier neutrino physics research center. Stay tuned to discover what secrets this technology will unlock!